Cyber Monday 2016 hits $2.67 Billion in desktop online sales to rank as top U.S. online spending day in history. Holiday weekend buying was up 15 percent. 5-day Thanksgiving-Cyber Monday Period with strong growth rate of 17 % (YoY). comScore today reported $29.7 billion has been spent online, marking a 12-percent increase versus the corresponding days last year in holiday season U.S. retail e-commerce spending from desktop computers for the first 28 days of the November-December 2016 holiday season. According to comScore Cyber Monday reached $2.67 billion in desktop online spending, up 17 percent versus 2015, representing the heaviest online spending day in history and only the second day ever (the other being Cyber Monday 2015) to surpass $2 billion in desktop sales. For the five-day period from Thanksgiving through Cyber Monday, online buying from desktop computers totaled $8.41 billion, up 17 percent versus last year. comScore says that 130 million Americans visited online retail properties on Cyber Monday using a desktop computer, smartphone or tablet, representing just over half of the total digital population. Amazon once again ranked as the most visited online retail property on Cyber Monday, followed by eBay, Walmart, Kohl's and Target. "Cyber Monday had yet another outstanding day of online spending with $2.67 billion in sales from desktop computers to once again rank as the heaviest online spending day of all-time. The day remains the most important online shopping day of the year, driving an enormous amount of online retail traffic on both desktop and mobile devices. As we've come to expect, Amazon once again led all online retail properties in Cyber Monday traffic, but several multi-channel retailers such as Walmart, Kohl's and Target also had very impressive showings." Apparel & Accessories ranked as the top product category on Cyber Monday with more than $600 million in desktop sales, followed by Consumer Electronics and Computer Hardware, respectively. In addition to its huge sales total, Apparel & Accessories was also the fastest-growing category year-over-year on Cyber Monday, followed by Sport & Fitness and Consumer Electronics, respectively. 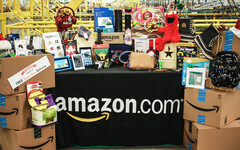 The 130 million people who visited online retail sites on Cyber Monday edged out Black Friday by 14 million visitors. 78 million arrived via desktop and 89 million via mobile (with 37 million on both). Households making $100,000+ in annual income accounted for 44 percent of buyers and 48 percent of desktop spending on Cyber Monday, each several percentage points above what was seen on Black Friday. 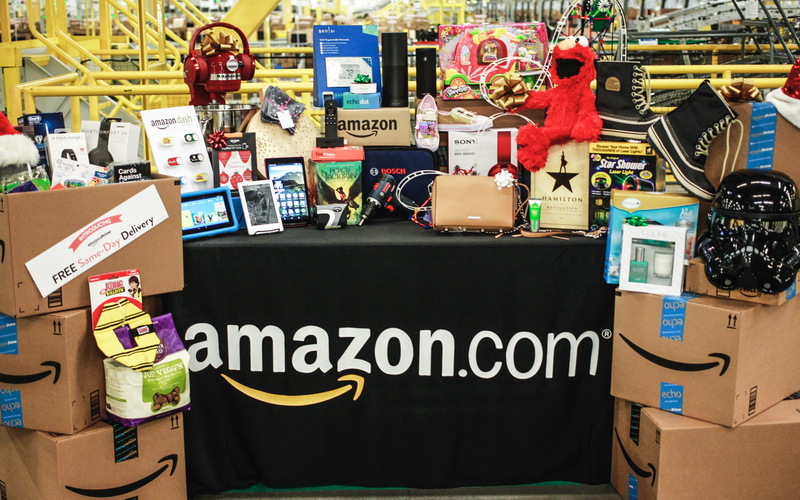 The holiday week ending Sunday, November 27 maintained its 70-plus percent share of desktop e-commerce dollars coming via transactions using free shipping. There have been 13 billion-dollar spending days on desktop through Cyber Monday this year, while last year at this point in the season only the five days from Thanksgiving through Cyber Monday had reached that threshold.